“Sometimes,’ said Pooh, ‘the smallest things take up the most room in your heart.” A.A. Milne. | Sally says . . . eat, sleep, work, read, play, draw, bark . . .
← ‘Pink isn’t just a color, it’s an attitude!’ Miley Cyrus. “Sometimes,’ said Pooh, ‘the smallest things take up the most room in your heart.” A.A. Milne. Stories from my Sketchbook . . . I recently saw the new movie ‘Christopher Robin’. It was (perhaps predictably) very sweet (although not sickly sweet enough as to cause a sugar coma) and, as an early and adoring reader of A.A Milne (especially the poems . . . ‘I found a little beetle; so that Beetle was his name . . . ‘) evoked nostalgic memories of happy times I spent along with C.R. 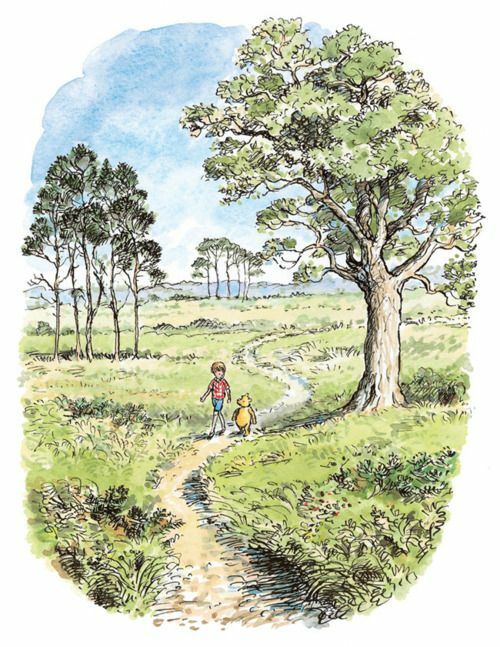 and his friends on their many rambling adventures around the Hundred Acre Wood . . .
Now I know that movies are movies and real life is real life and movies (more often than not) take diabolical liberties with the truth (the real Christopher Robin was probably turning in his grave) but the one thing I especially liked about this movie was that all the little critters actually looked like the real toys I had always imagined them to be, rather than the prettied up Disney versions that have so eclipsed E.H. Shepard’s wonderful original drawings. Pooh and Piglet and Tigger and Eeyore (‘ . . . it’s not much of a tail but I’m sort of attached to it . 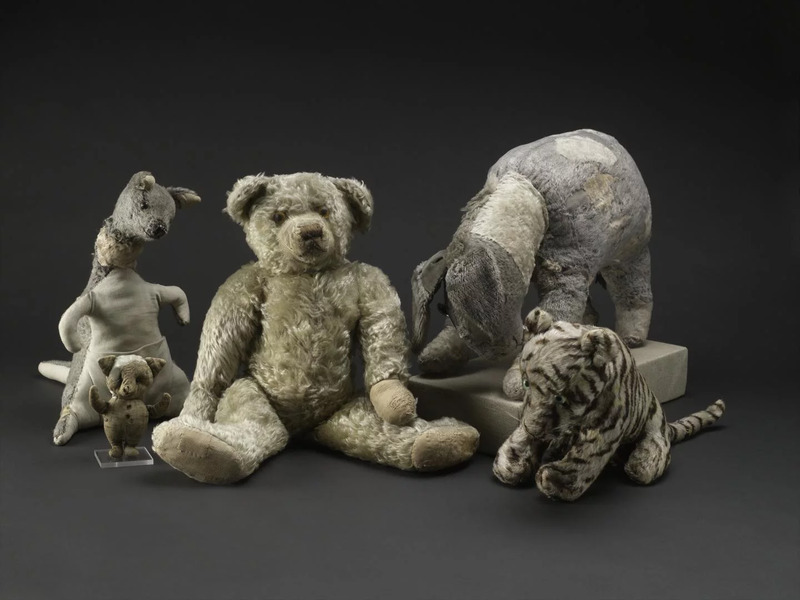 . . ‘) were all a little careworn and grubby and frayed around the edges—just as any much-loved childhood toy should be. Below is (most obviously, I hope) not a sketch of that most beloved and humble Winnie. 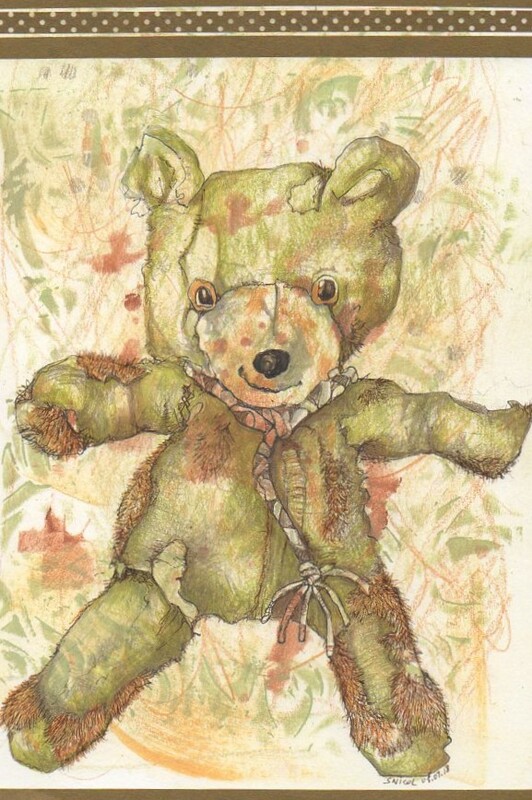 It is, however, a sketch of another bear who carries the same telltale scars of being on the receiving end of a lifetime of deep love and devotion . . .
Love this Sally. Eeyore is a favourite and great teddy sketch.